We were given the opportunity to take a look at Risen 2: Dark Waters, the sequel to Piranha Bytes 2009 release Risen. The original Risen was faced with mixed opinions, varying based on what system it was played with. Even then, the game was a very solid RPG with a rather large emphasis on exploration among other things. The Risen 2 we were given to play was an early build of the game that ended at the build up to a rather major fight. This being said, it was incomplete and it wouldn't be surprising to find certain things discussed here changed or altered in the final release. Risen 2 starts off a couple years after the first game in the city of Caldera where the Inquisition is still working on defeating the titans and are unable to get significant supplies due to a Kraken constantly destroying incoming ships. This bundled with a pirate war raging on and magical artifacts floating around it doesn't look good for anyone no matter where they stand in the conflict. The protagonist makes a return from the original game however, he seems to have slipped into a bad place, involving large amounts of alcohol. After a ship is destroyed and an old friend is among the few survivors the player sets off to find a way to kill the one controlling the kraken. With limited time to actually experience Risen 2's story it needs to be said that it seems pretty solid. How certain parts of the story are accomplished can be decided entirely by the player. This goes more for the abundant side quests but is at least partially valid for the main quest line. If the play style chosen is more rushing in sword drawn that's always a valid option although not always the best. It actually gets rather interesting due to the fact that NPC's do not repeat any of their dialogue, excluding a few situations. So unlike RPG's that like Fallout (purely for example) there isn't the option to go through lines of dialogue over and over again. It forces a sense of role-playing that gets much more interesting once the player understands that there is no hand-holding to be found here. There are no paths lit to follow to the goal, there isn't anything saying exactly what to do, and there sure isn't an easy button. It's just the player, and the NPC telling you where the general location is. It's up to the player to do some path finding on their own, to determine how and where they need to go. Paying attention is paramount, and could be a turn off for some players who traditionally like to skip through the in-game dialog. Certain environments are even littered with random traps that may be run over and require quickly dodging out of the way. These are completely hidden from view, and constantly keep players on their toes. Exploring is as fun as it is potentially dangerous. A new take on the zombie apocalypse. After some 5 years in development, Polish developer Techland's ambitious Dead Island is now available in stores. It's a familiar tale at first; four strangers are thrust smack dab in the middle of an area being overrun by zombies, tasked with somehow finding a way to escape. This time around, the action all goes down on the fictitious tropical paradise of Banoi, an island off the coast of Papua New Guinea. Following a brief introductory cutscene, players are given the choice between four characters: Xian, a blades expert, Sam B, a blunt objects specialist, Logan, who specializes in throwing weapons, and Purna, a firearms expert. Dead Island's core gameplay mechanic, unlike most other zombie themed titles, is stylistically closer to the Fallout series, than, say, Left 4 Dead. As such, while there certainly are plenty of undead minions to dispatch, there are also a number of RPG elements here. Not only do characters accumulate experience points (and thus level up), but gameplay itself is broken up into quests. Ranging from something as simple as item retrieval, to something as complex as retrofitting an armored car into a tank, quests are varied, and often lengthy to complete. Especially in later chapters, many of them will seem a little too difficult for a single player to complete - and while this may come off to some as a possible design flaw, this difficulty level is intentional; certain quests are clearly designed with co-op in mind. Dead Island goes on sale next Tuesday, September 6, 2011 for the Playstation 3, PC, and Xbox 360 platforms. 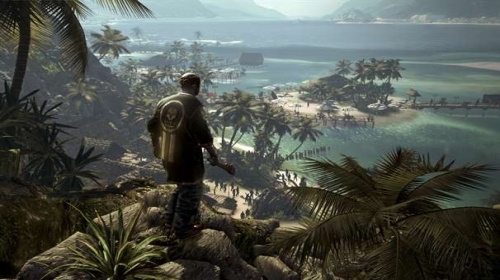 Deep Silver's upcoming zombie themed open world action RPG, Dead Island has now been released to manufacturing. To celebrate, a new co-op trailer has been posted. 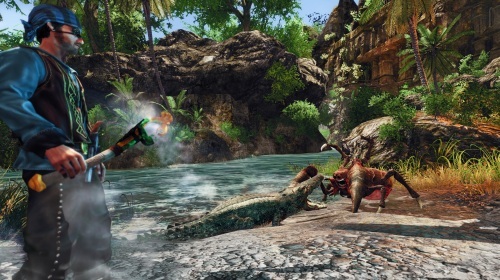 Highlighting the game's signature teamwork based dynamic, watch as the four protagonists cut, shoot, and burn their way through the zombie infested tropical paradise of Banoi. 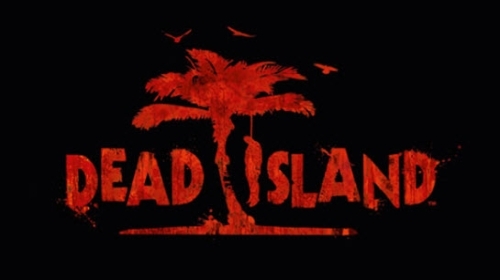 Dead Island will be available on September 6, 2011 for the Playstation 3, PC, and Xbox 360 platforms.